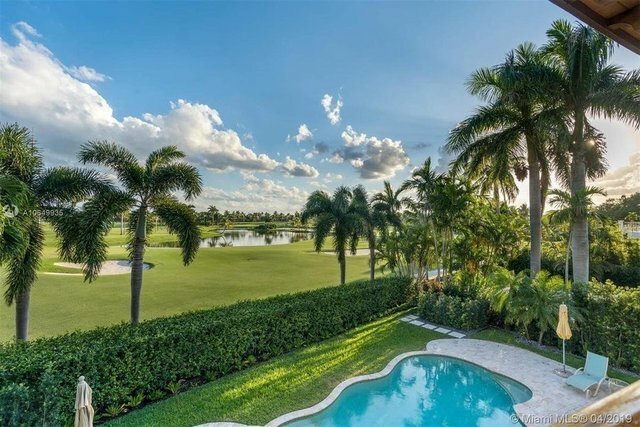 Located on a quiet street with direct access to the prestigious La Gorce Country Club, this meticulously maintained 5 Bed / 4.5 Bath home defines golf course living. The property is situated on an oversized lot with direct Southern exposure boasting sweeping views over the green’s and tranquil sunsets. Enjoy your zen-like master suite with expansive terrace, master bath with double vanity, tub, shower and walk-in closet. The home has 4 Bedrooms upstairs + Den and 1 Bedroom on the Ground level with formal and informal living spaces leading to the pool area. Built in 2004 with the highest quality materials, no expense spared featuring top of the line hurricane windows, 35KW all house generator, Lutron lighting systems, Sonos Surround Sound, linear air diffusers and solid core mahogany doors.